Sometime before 7am the following morning, I woke up. My eyes were squinting and I was unsure whether I wanted to look around or not. I’m not going to lie, I was a little afraid of the damage. Before I fully commited to opening my eyes, I was already dreading the hassle of finding a B&B or locating a new tent, one that would hold up against the wind and rain, one that would keep us dry and from sleeping on the grass with the stars shining down on us through the night sky. Still squinting, I touched my pyjama top, sleeping bag and blankets to ease myself in to the damage. I was expecting little puddles of rain or at least some heavy morning dew. I reached out, expecting to feel the cool morning air, result of our tent ripping in the night and leaving us exposed…but…well, nothing!. I pinged my eyes open to find the tent exactly as I had left it when my eyes eventually closed the night before from pure fatigue… or should I say, at some point in the early hours of the morning. I couldn’t tell you the exact time that I fell asleep, I was quite delirious by that point. I looked around at my sleeping babes, looking so peaceful! I snuggled back down in to the covers and watched the wind soar through the over sheet and I flinched as the sharp glimpses of the morning sun burned through the mesh, in to my sleepy, fragile eyes. Aside from the sound of the wind, it was so quiet. I could really hear myself think…which is something that rarely happens. I’m not going to say that the night was easy, it was really loud and I’m pretty sure I only half slept. Especially as when I finally got to a place where I could dream, I dreamt of the tent flying all around the field with all of us in it. That dream was short and then I spent, what felt like the rest of the darkness checking the children to make sure they were okay. They were. They didn’t hear a single breeze. Oh, to be a kid again! Before long, we were springing up like daisies and eager to start our day. I love the atmosphere when camping, especially in the morning. Everybody walks around in their pyjamas, fresh faced with content smiles. Everybody sys ‘Hello’ and ‘Good Morning’ and it makes me happy. The smell of fried breakfasts and coffee fills the air and you see families scurrying around with wash bags to cleanse themselves of sleeping on the ground, it doesn’t leave you feeling so fresh when you wake up, that’s for sure! The sound of children laughing and playing drifts over the fields and on the coolest morning, it warms you up inside. On this particular morning, not long after 7am, I peeled myself from the tent. I inspected the tent which had significantly lost its shape in the night…but, it really could have been worse. My sister’s tent had completely collapsed at the front and even she felt grateful of that being the only damage. These little hiccups weren’t going to ruin our day… and neither was the incredibly gloomy cloud that was situated right above us. I was on beans duty. Pans bashed around and breakfast was served. We pretty much ate like savages with plates on our laps or leaning in to our hips whilst standing and holding a plate in one hand. The children ran around and kept popping back to camp for berries and sips of their smoothies. Is is okay that I could live like that? I would go as far to say that I would want to live like that…Except for maybe in winter… I hate feeling cold! Anyway, we eventually pulled ourselves together and headed out. Our campsite was located right next to Monkey World so it would have been so very rude not to go in and look at the monkeys. We met up with the biggest sister and her bunch and went in for a few hours. It was fab! Honestly such a great day…busy but great! There was so many monkeys to stare at (for way longer than socially acceptable really!) and a fair few play parks dotted around for the little ones to burn off some energy. The sunshine came out on a fair few occasions too and we felt quite lucky. And, I have to mention the honesty shop that is available when the shop is closed. It is a little wooden cart with some essentials- butter, shampoo…cake, that kind of thing. There are prices attached and little pots for people to pop their pennies in to so that they don’t get stuck. Just how lovely is that? If only the normal world could be a little more like that! Proud of community, trusting and honest. I was perfectly happy to add my pennies to the pot when we ran out of water and butter that night. It made my heart feel good. So, after a few giggles, conversations and a random exercise session around camp, we said our ‘See You Tomorrow’s!’ again and the biggest sister set off. We pulled together to whip up an evening meal- quinoa, vegetables, prawns, mackerel, sausages…It was all going on! There was something for everyone to eat! We filled our tummies, this time in a more civilised manner than the carnage of breakfast time. Then we marched our way across the field to meet up with two lovely girls who worked the farm and we went for a little walk with a little group of alpacas… (p.s. I sadly didn’t get any photographs of this but to see the little cuties in action, check out my YouTube Vlog of our trip HERE!) Mine was called Barny. Barny liked to race the others. Barny was quite strong. Barny liked to nudge me when he wasn’t getting his own way and Barny seemed to have enough of walking up and down the same road every day. I could sense that Barny had a zest for adventure. I can’t lie, I think Barny may have looked down on me a little for calling him ‘Bernie’ for the whole walk until I was corrected at the end of it. Noah had one called Elvis and my Sister’s one only like to eat from a certain patch of grass. Alpacas sure are funny little things but I really enjoyed spending some time with them. It was such a nice little touch to our camping experience. Fires, blankets, stars, tired eyes, conversation, peace, family, wondering what tonight would throw at us and tomorrow would bring… goodnights and sleep tights. Nobody has just a ‘Hen Night’ anymore, right? So when I was in full Hen Planning Mode for my bestie, I knew that I wanted it to be a two-day kind of shindig. As previously mentioned, my friend Katie is not a party girl. She LOVES to dance but falling out of clubs is not her bag. After deciding on her ‘Bridal Shower’… I wanted the event for the next day to compliment the relaxed atmosphere from the day before and I wanted ‘The Bride-To-Be’ to come away from her Hen Weekend feeling like a million bucks and ready to tie the knot. I think that I always had a spa in mind. 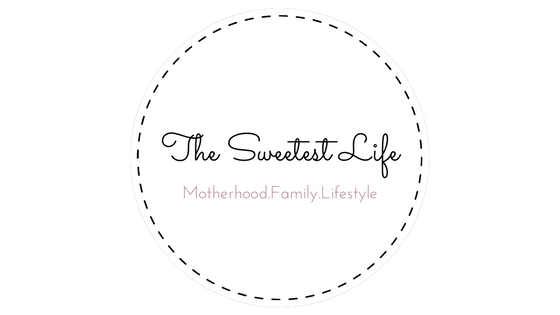 It just felt like it would offer everything that I wanted for my friend and also (and quite selfishly) for a super busy mama like myself. 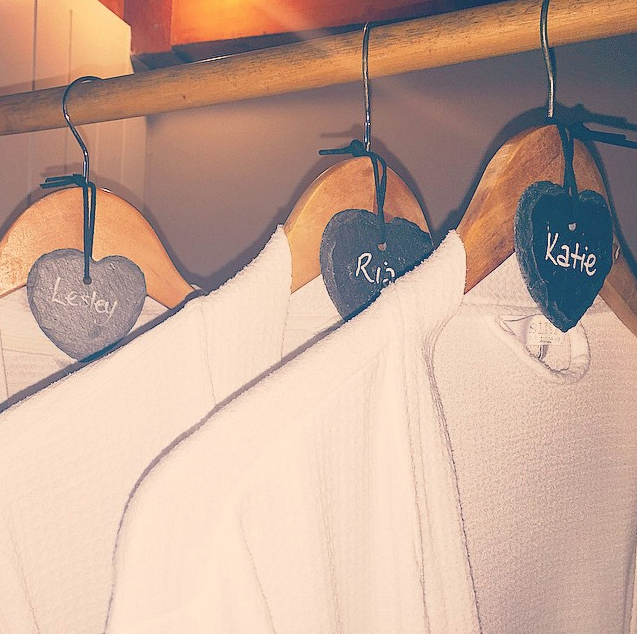 A spa just seemed like the perfect treat for a lovely group of women to escape their to-do lists and duck out of normality for a few hours for some well deserved relaxation and pampering. When we arrived on Sunday 31st May 2015 at around 9.45am, we drove in to what felt like someone’s driveway. We thought that we had the wrong address at first but as we edged closer we realised that we were exactly where we were meant to be. 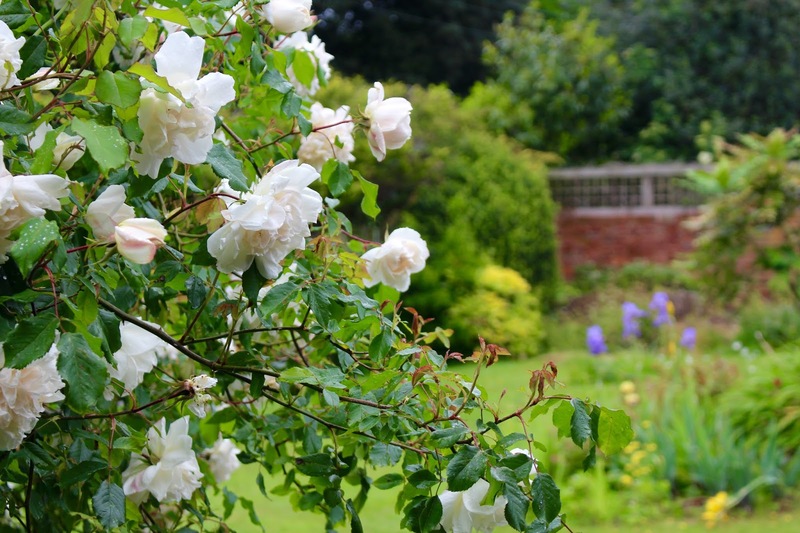 It looked idyllic and it didn’t feel like we were anywhere near our local town…AT ALL! It was so pretty and serene. From the moment that we stepped through the door, confused and a little ditzy- nothing felt like too much trouble and all of us girls felt immediately at ease…and ever so comfortable. We were taken through health and safety straight away but nothing about it felt too harsh. I’ll be honest, it was thorough… but, nothing about it felt like anything more than being shown around your girlfriend’s house and having a bit of a chat about beauty and general girl talk. The therapists were professional but human. They felt like old friends. Inside, it was absolutely stunning. The attention to detail was on point and for somewhere that looked so modest from the outside, it was incredibly spacious. I LOVE this decor. It is so fresh looking and subtle but so very sweet. A perfect, girly haven. Although, next time I come back, I want to come with Matt and I know that he would appreciate how gorgeous it looks too. 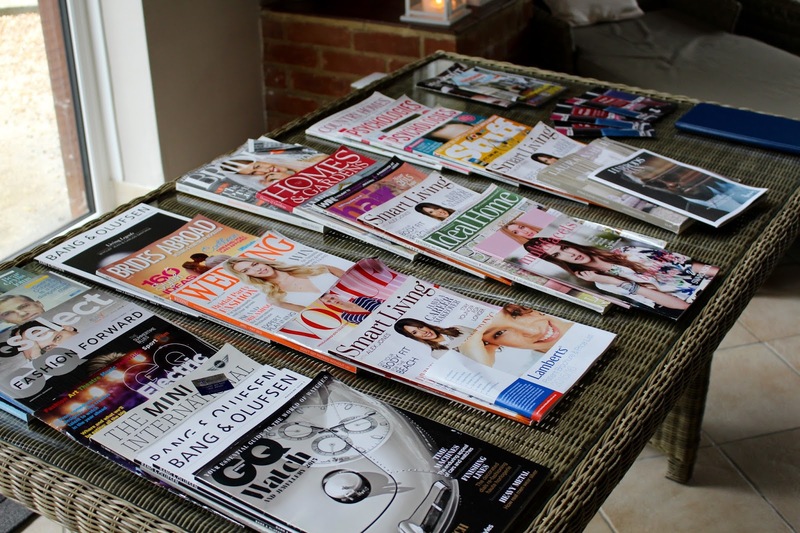 Considering that we were at the spa for five hours in total, I didn’t pick up one magazine but I loved knowing that they were there. Before I left home that morning, I shoved a book in my bag but next time, I’ll leave it at home… I wouldn’t need it. There were so many places to sit and relax and I’m sure that I lost a fair while gazing out of the windows at the beautiful garden. I’m not going to lie… Before we left the spa, I made sure that I used each and every one of these products on my face and body. 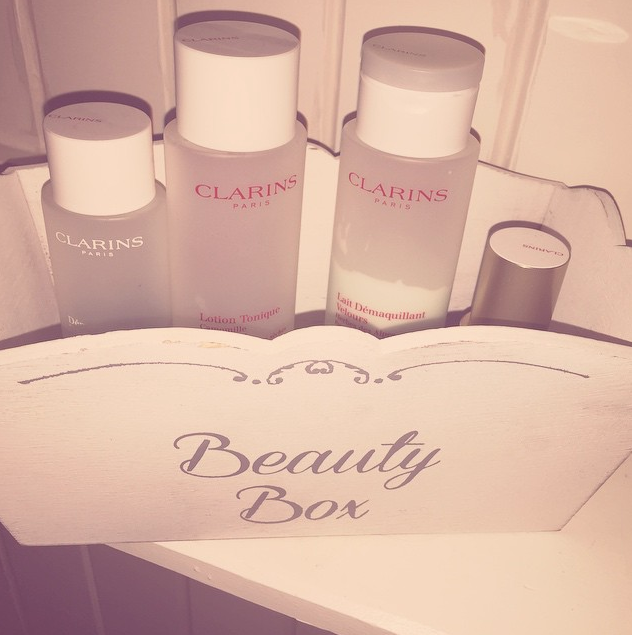 I love Clarins products and it was such a nice touch that they were complimentary. I love lotions and potions but I have quite sensitive skin, it was nice to see them use a reputable and trustworthy brand which I love. Huge thumbs up! Do you see what I mean about attention to detail? These personal touches make such a difference and really set them apart from other Spa’s. Sometimes in life, you have to make time to shut yourself out of the matrix for a few hours because when you do, you can really achieve so much. You can spend real time with the people who raise you up, support you and who make you the person that you are. These people are invaluable to your happiness. You can use this time to write. Letters and notes of encouragement to the people who may need it, will appreciate it and will love to re-visit monumental moments in their lives when your written words exploded from your heart on to paper. You can spend this time dreaming, deciding, believing, planning… Just being! And even better when you get to drink fizz with friends and your loved ones. And not for anybody but yourself. Simply because you can and it is absolutely okay to. You can be kind to yourself, your soul and your body. You can appreciate the fleeting moments of solidarity to remind yourself that you, just one person in this big, wide world…are pretty amazing. And plenty to do while we awaited our treatments. I had a Weleda facial and I still struggle to find the words to describe how amazing that was. I’ll be honest and say that during the treatment, I hardly felt like I was in my body and that is for real. It was such an incredible experience. My skin felt great and for a week after, I didn’t put a scrap of make-up on my face. I felt completely zen and just so happy and comfortable in my skin. All of the ladies were impressed with their treatments. From pedicures, to back, neck and shoulder massages- we all felt so relaxed and at ease. One of the bridesmaids couldn’t stop smelling her skin from the massage oil and there were a lot of sad faces when it was time to leave. Saying that, we didn’t leave before indulging in a delicious cream tea to finish off such a wonderful day. And delicious it truly was. I honestly can’t say a bad word about Sheldon Spa and I’m just kicking myself that I didn’t find it sooner. As a woman, it is important to feel comfortable in our surroundings and able to embrace our different body shapes and sizes. 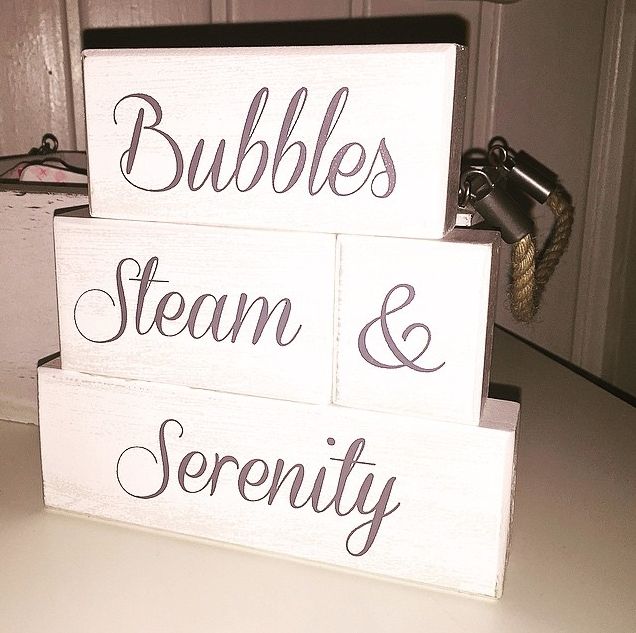 At Sheldon Spa, it felt a lot like home…seriously, I wish I lived there! There was such a fabulous atmosphere and I couldn’t recommend that you visit there enough. You really will come away feeling amazing about yourself and like you are seriously winning at life. I can not wait to go back, with the ladies again and hopefully before then (and sometime soon!) with Matt, the man of my dreams.